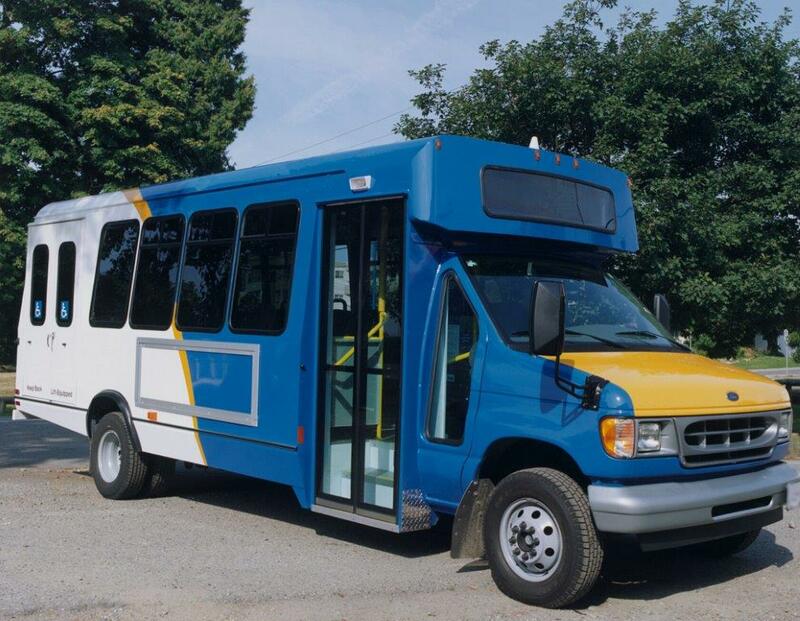 The History of Commercial Truck Equipment Co.
Based on a philosophy of superior customer service supported with quality engineering, we have grown over the past 70 years to become Canada’s largest truck equipment supplier and vehicle integrator. 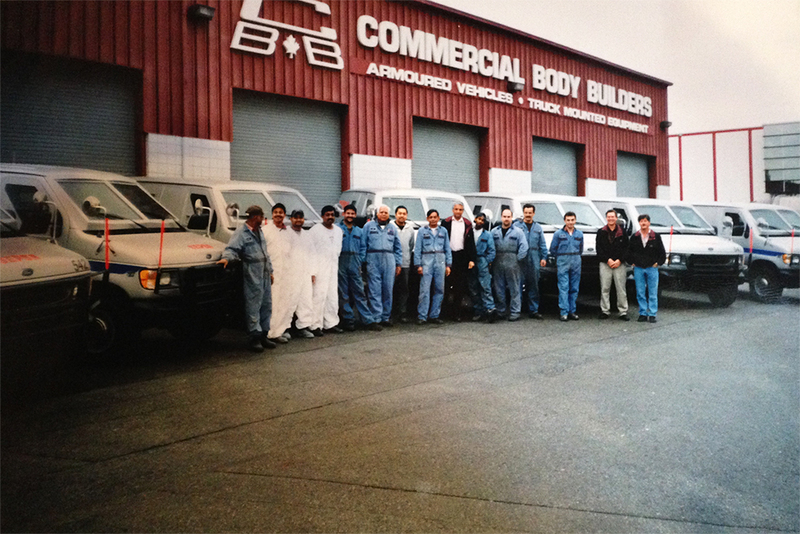 1947 – Our founding company, Commercial Body Builders Ltd. was established in Vancouver BC. 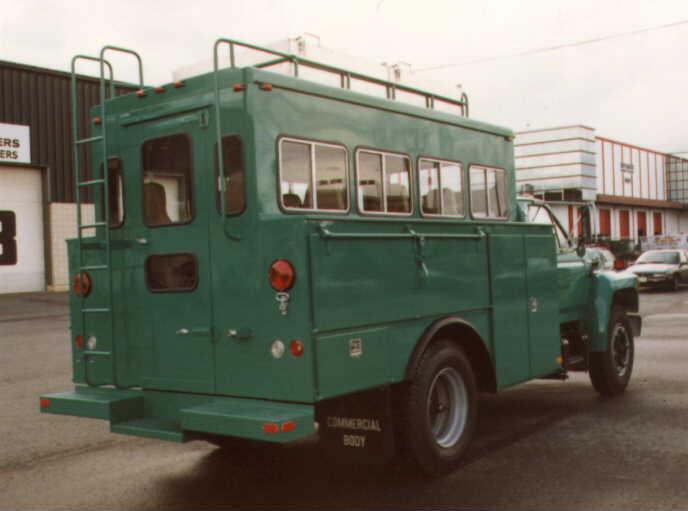 1947 – 1997 – The company thrived in the manufacturing and modifying of truck bodies for BC based telecommunication, hydro, mining, construction, forestry, retail and service companies. We also supplied many truck components, such as cranes, man lifts and winches. The story is often told about a forestry contractor in the 1950’s who wanted to take his crew to the work site with a truck that could carry 4 men and their chain saws. 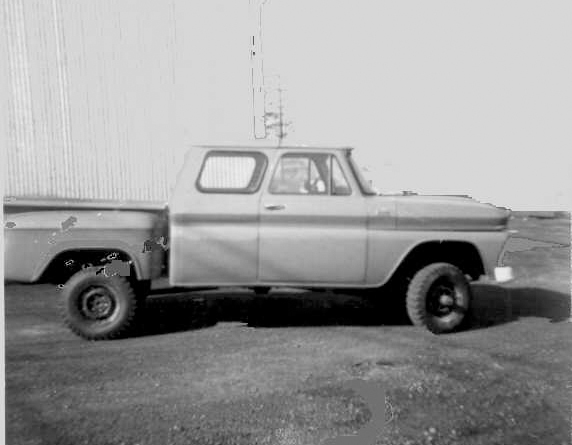 To accomplish this, the engineers at Commercial modified the contractor’s pickup. 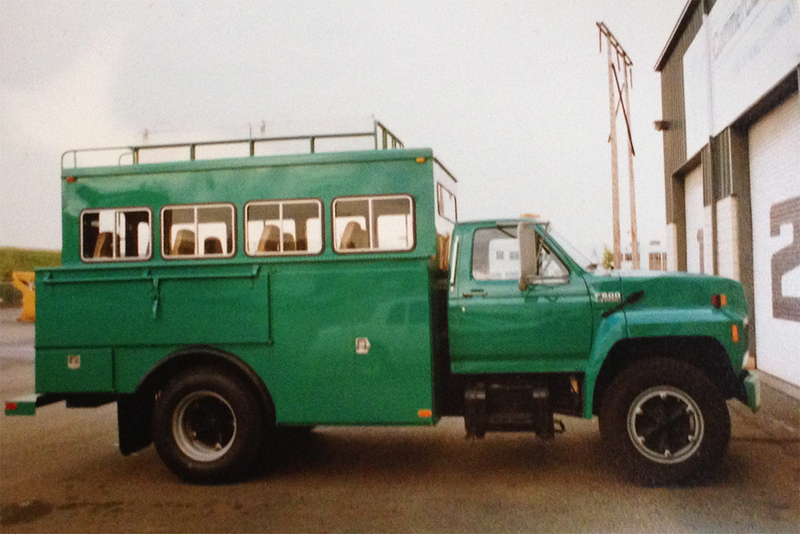 By extending the cab and creating 4 doors, they may have created the world’s first “crew cab” pickup truck. 1998 – The company began to diversify. By making the best use of our engineers and technicians, the company expanded its geographical and design horizons to take on more challenging manufacturing opportunities as well as represent additional truck equipment product lines. 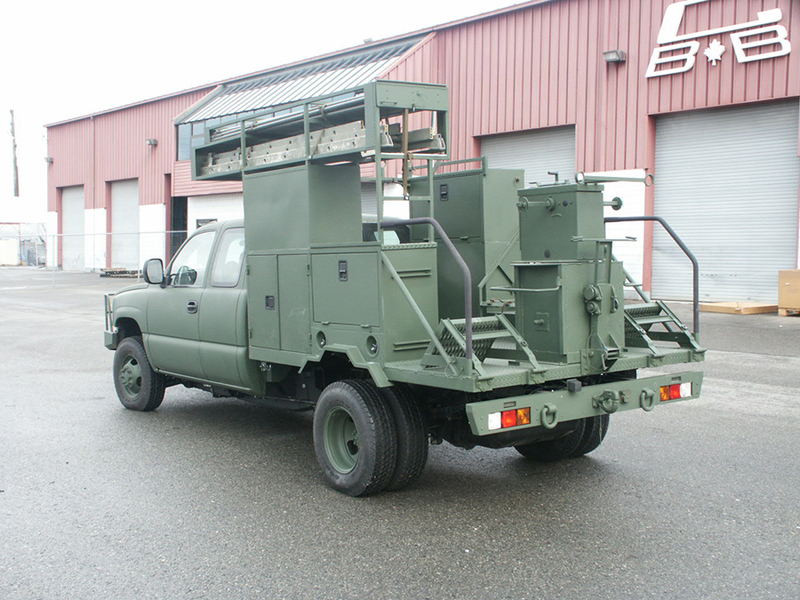 The company began to produce equipment for the Canadian Military, General Motors and several large US based utility companies. 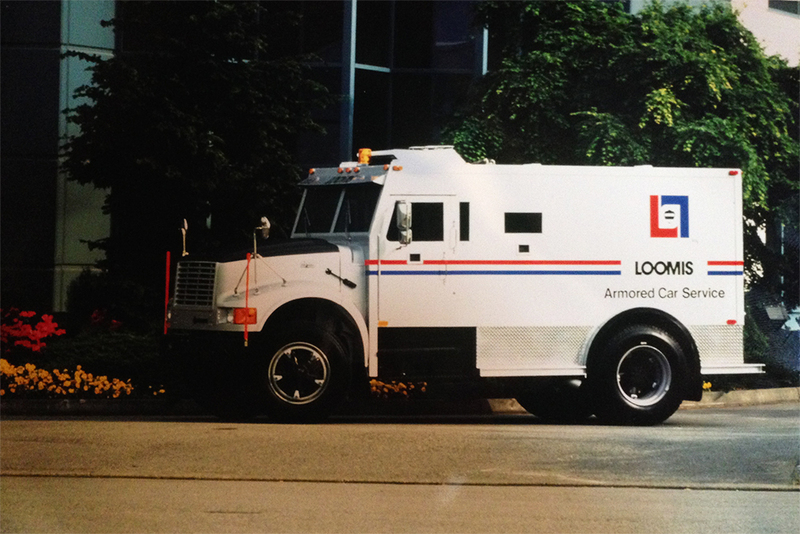 We also manufactured armored trucks for a Canada wide customer and a line of mid-sized buses for public transit in BC. 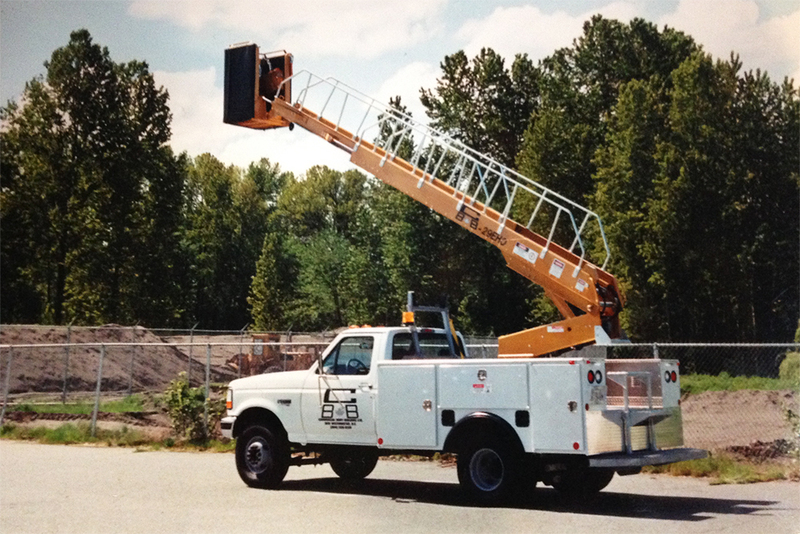 2000 – Appointed the Terex Utilities dealer for Western Canada. This new business flourished and soon expanded to branches in Alberta. 2001 – Formed the company Commercial Equipment to focus on quality service, parts, equipment sales and rentals to the utility industry. 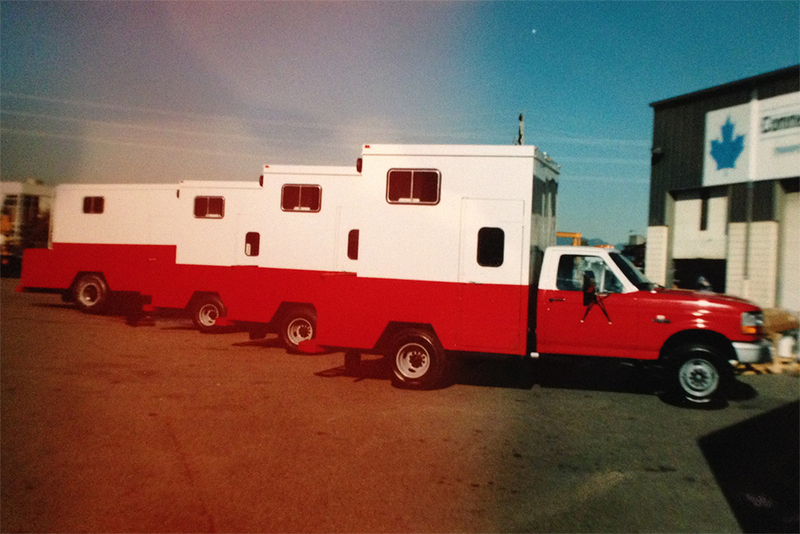 2002 – Acquired Russell Truck and was awarded the tow and recovery vehicle dealership for Miller Industries for Western Canada. 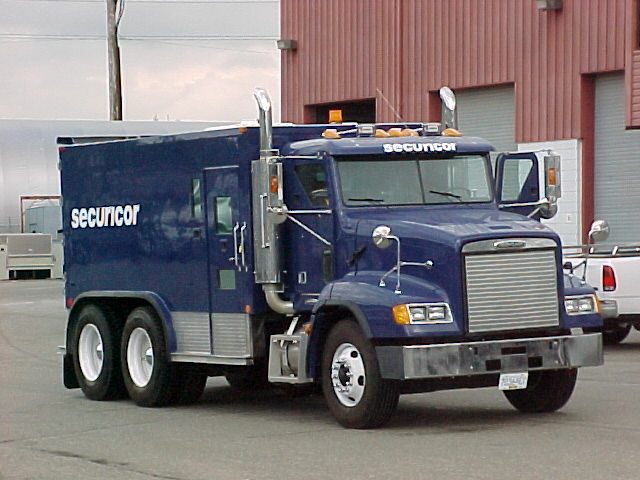 2005 – Appointed the Canadian rental dealer for Nesco utility vehicles. The rentals business has since flourished from coast to coast. 2010 – Acquired Danco Equipment. 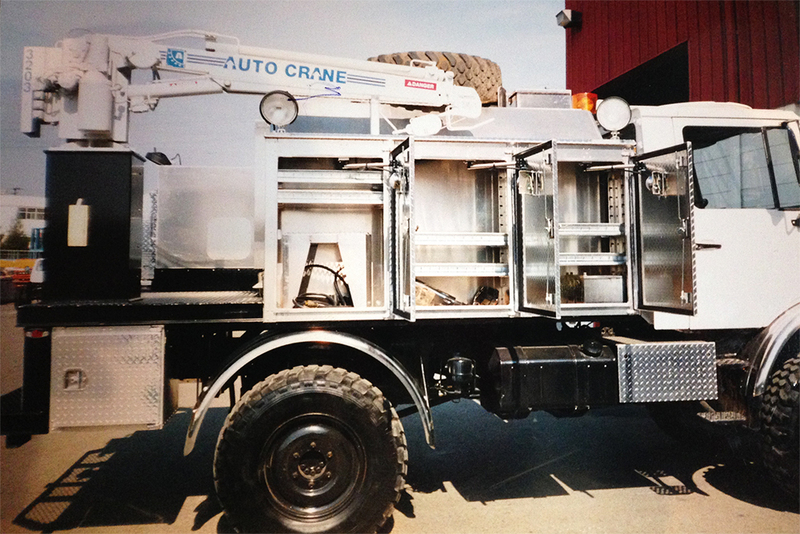 Danco was the largest Western Canadian supplier of truck mounted equipment, truck parts and service. With branches in Edmonton, Calgary, Regina and Surrey this acquisition dramatically improved our branch network and ability to service our customers. Danco specialized in Parker truck hydraulic components, drive line components, Amco Veba cranes, Terex truck cranes, Monroe snow and ice removal equipment, Stellar truck hook lifts, Bibeau gravel boxes as well as Stellar and Knapheide truck service bodies and many other quality products. 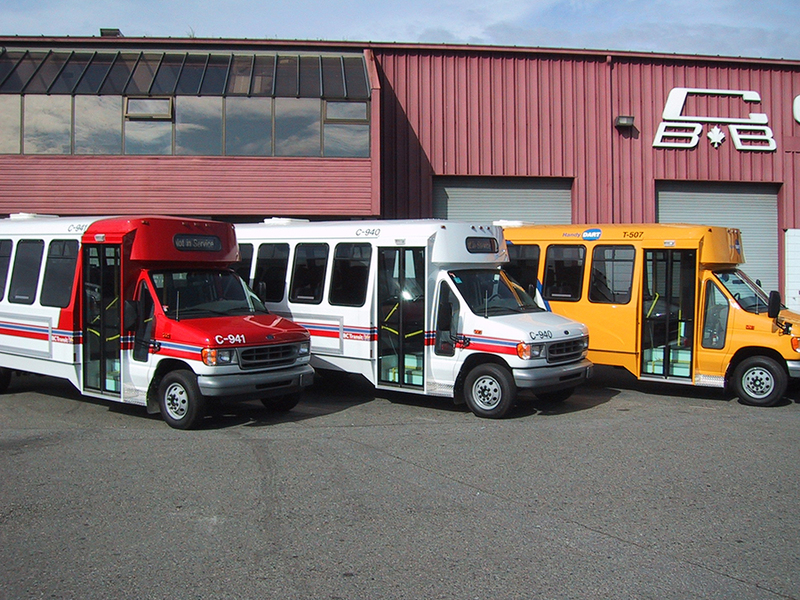 2012 – Acquired Renn Truck Equipment of Calgary. Renn was the leading supplier of both Southland and Cancade gravel boxes and trailers. -Appointed the dealer for Weldco Hydra Lift cranes for Canada. 2013 – Merged Commercial Body Builders, Danco Equipment, Commercial Equipment, Renn Truck Equipment and Russell Truck to form one unified company: Commercial Truck Equipment Co.
-Expanded our branch network further with new locations in Grand Prairie, AB and Quebec City, Qc. -Appointed the dealer for Palfinger Cranes. 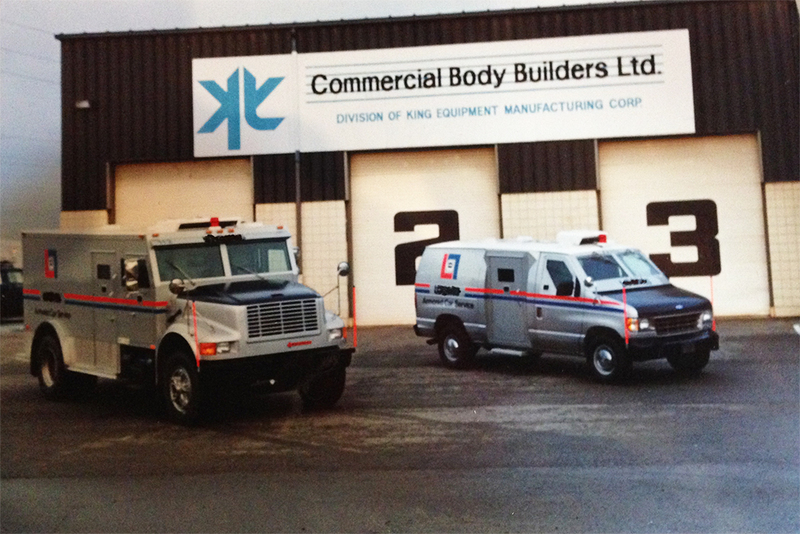 2014 – Expansion with the opening of a larger branch in Regina, SK and a new branch in Acheson, AB. 2015 – Expansion of Calgary, AB branch with 8 additional truck service bays. 2016 – Woodstock, ON expansion with 4 additional truck service bays. 2017 – Acquired Canadian Towing Equipment Inc., the market leader for towing & recovery vehicles in Ontario. 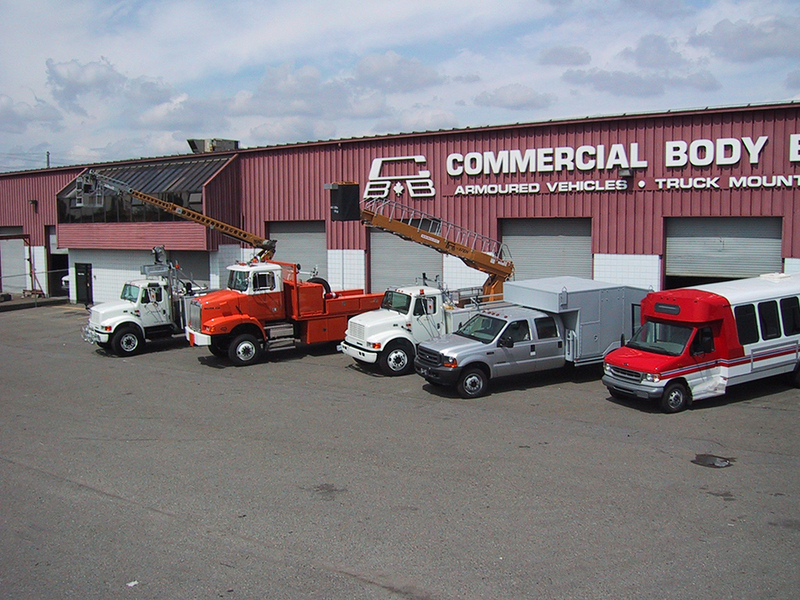 This acquisition positions Commercial Truck Equipment Co. as the largest towing & recovery supplier in Canada and one of the largest in North America. Canadian Towing Equipment has served the North American towing industry for over 25 years and continues to operate under the same name from locations in Ayr, ON and North York, ON. – Appointed the Western Canadian dealer for Elliott Equipment Company.